and the lure can move a couple of feet, taking it out of the fish zone. Also, if you aren't used to the reel's high speed, you could be cranking in line too fasta chronic problem with beginning fishermen, and even with experienced anglers when fishing in dark or murky waters where the lure or bait can't be seen. Most spinning, spincasting, and baitcasting reels today have ratios varying from a low of about 2.5:1 (those used for winching in heavyweight fish) to a lightning-fast 6:1 and more. Fortunately, reel manufacturers label and hype super-high-speed reels, so it's difficult to buy one without knowing it. Also, manufacturers design reels with optimal ratios for their size and probable intended use, so chances are you won't get a reel with a too-high or too-low ratio. 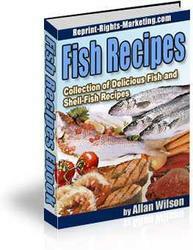 Different styles of reels have different applications. Baitcasters are strong but can be difficult to use, spinning reels are easier to operate but cumbersome in large sizes, and spincasting reels are simple to use but lack accuracy and sensitivity. The anti-reverse mechanism keeps the reel handle from turning in the opposite direction, allowing unencumbered fishing and drag operation. 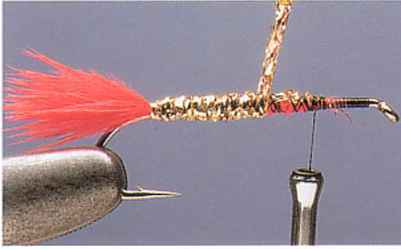 The drag lets a fish take line at the point before the line would break. 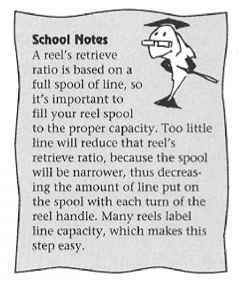 The retrieve ratio refers to the speed of the reel, or how fast it takes in line when the handle is turned. Generally, high-speed retrieve ratios are preferable.